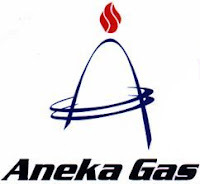 PT Aneka Gas Industri is the first industrial gas company in Indonesia. The core business of PT Aneka Gas Industri is to supply industrial gases such as Oxygen, Nitrogen, and many other gases and related services to almost any industry such as metal works, metallurgy, chemical processes and petrochemical industry, electronic and electrical industry, medical and pharmaceutical industry, food and beverage industry, drinking water treatment, waste water treatment, agribusiness, etc. Applicants must be willing to work in BATAM. Candidate must possess at least a SMU, Diploma, any field. Applicants must be willing to work in Balikpapan (Kutai Kartanegara). Candidate must possess at least a Diploma, any field. Preferably Staff (non-management & non-supervisor)s specializing in Sales - Telesales/Telemarketing or equivalent. For detailed information & apply online, please refer official source from Jobstreet on following link below. Advertised: 06-03-13.